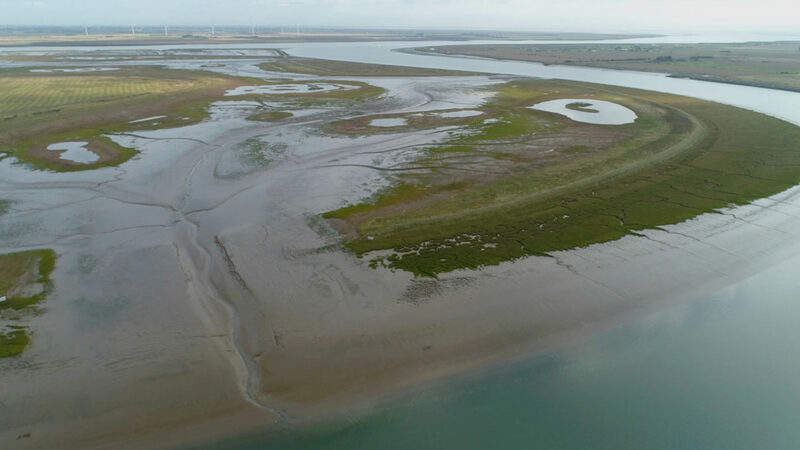 Rewilding Europe is delighted to welcome the Wallasea Island Wild Coast Project, UK’s largest and most innovative coastal wetland creation project, to the European Rewilding Network. 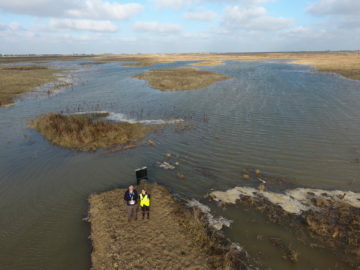 The Wallasea Island Wild Coast Project is the UK’s largest and most innovative coastal wetland creation project, and probably the largest “beneficial use” scheme in Europe. The twin aims of the project are to combat the threats from climate change (through carbon sequestration) and coastal flooding, and to boost biodiversity by recreating an ancient wetland landscape of mudflats and saltmarsh, lagoons and pasture. Already popular with nature lovers, it will provide a haven for a diverse array of nationally and internationally important wildlife, including nursery areas for commercially important fish species. Although development of the island – now a reserve managed by the Royal Society for the Protection of Birds (RSPB) – will continue until around 2021, the growing number of visitors can view progress as each phase comes to life and the local marshland naturally regenerates. Wallasea Island is now a reserve managed by the Royal Society for the Protection of Birds (RSPB). Birds (RSPB). Wallasea Island has been realised in partnership with Crossrail, the UK’s largest recent infrastructure project, with it’s excavation of two 20-kilometre railway tunnels beneath London. Created with 3 million tonnes of earth, it demonstrates how industry and nature conservation can work together to deliver beneficial outcomes for wildlife on a landscape scale. In addition to providing new possibilities for recreation and reconnecting with wild nature, Wallasea should reduce the threat of local flooding by removing sections of poor quality sea defences vulnerable to failure. The creation of intertidal areas at the site involved raising land levels using the earth from Crossrail’s tunnelling operation. This was done to reduce the additional volume of sea water that would flow into and out of this new intertidal area on each tide, and has led to the development of mudflat, saltmarsh, lagoons, (seven) islands and non-tidal grassland. Over time the tide will deposit silt across Wallasea’s shoreline habitats, increasing the availability of food for wading birds. Successful breeding seasons for many species have already been recorded. The Wallasea Island Wild Coast Project aims to combat the threats from climate change and coastal flooding, and to boost biodiversity by recreating an ancient wetland landscape of mudflats and saltmarsh, lagoons and pasture.